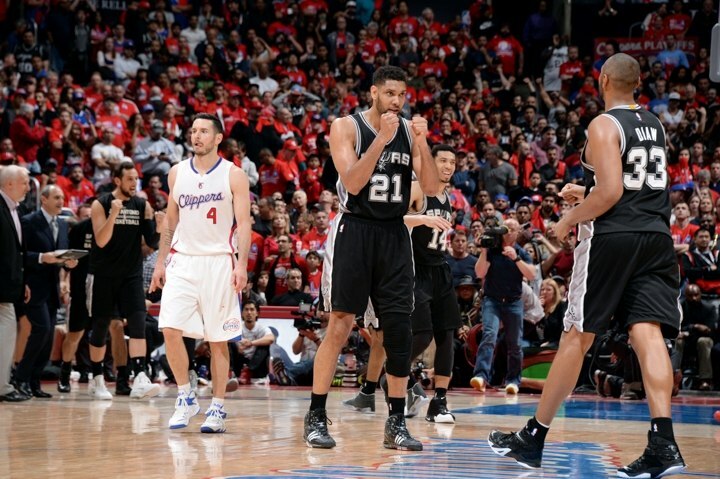 NBA first-round playoff action on TNT led the cable sports landscape for the fourth consecutive day with the San Antonio Spurs‘ win over the Los Angeles Clippers to even the series at 1 game each averaging 3.848 million viewers and a 1.7 adults 18-49 rating. Also on TNT, the Memphis Grizzlies win over the Portland Trail Blazers to take a 2-0 lead in the series averaged 2.528 million viewers and a 1.0 adults 18-49 rating. ESPN’s Pardon the Interruption averaged 1.026 million viewers and a 0.4 adults 18-49 rating. On FS1 the UEFA Champions League quarterfinal where Real Madrid won out over Atlético Madrid averaged 683,000 viewers and a 0.4 adults 18-49 rating. The CONCACAF America vs Montreal match averaged 1.201M viewers on Univision with a 0.6 adults 18-49 rating and 521,000 viewers on Univision Deportes with a 0.3 adults 18-49 rating.